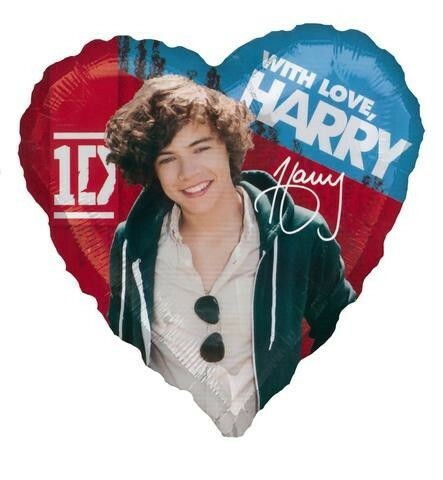 One Direction Harry foil balloon measuring approximately 17 inches; slightly smaller to save on helium. Heart shaped foil with Harry Styles from One Direction on a blue and red background with 'WITH LOVE HARRY' and his name on. Perfect gift for any One Direction fan. Non message so can be used for any occasion. Suitable for both air and helium.